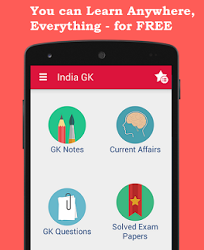 23, 24 January 2016 Current Affairs MCQs, Quiz, Questions: Current Affairs for January 2016, Daily Multiple Choice Questions (MCQs) for India GK, World GK and current affairs with Collection of daily objective type Question by www.Indiagk.net based on General Knowledge (GK) and General Science (GS) Questions for UPSC, State PSC, SSC, Police exam, Railway exam, SBI, Bank PO, IBPC, SSC, LDC, UDC, Army, Airforce, Navy, Coast Guard, Bank Clerk, TET and all entrance examination with current affairs News, Multiple Choice Questions (MCQs) available on Website www.IndiaGK.net and Android Apps with daily updates:. Francois Hollande who came to India on 24th January and also Chief Guest at India's Republic Day function is President of Which country ? Explanation: Prime Minister Narendra Modi welcomed French President Hollande at the Rock Garden in Chandigarh. French President is Chief Guest for the Republic Day parade at Rajpath this year. This is the fifth time that a serving President of the French Republic will be the Chief Guest at India's Republic Day function which is a record in itself. Who wins Malaysia Masters Womans title on 24th January 2016 ? Explanation: India's PV Sindhu wins women's singles final and seal her second $120,000 Malaysia Masters title at the Spice Stadium on 26th January 2016. Third seed Sindhu, who had also won the Grand Prix Gold tournament here in 2013. This is Sindhu's second title in three tournaments after she also clinched the Macau Open crown last year in November. Who is elected New BJP President on 24th January 2016 ? Explanation: Amit Shah got re-elected as BJP Chief for the second time on 24th January 2016. His tenure will be three years This will be his first full-term which will last for 3 years. Amit Shah got elected as BJP chief unopposed.